For three years in a row back in 2010, 2011, and 2012 my wife, her younger brother, and I went to see each of the Diary of a Wimpy Kid movies on opening weekend and though it became evident by the time that third film came around in 2012 that the stars were getting older the box office always remained about the same with each film pulling in anywhere from $72 to $77 million worldwide. with the bulk of that obviously coming from domestic receipts, it was hard to think the studio would let this franchise rest forever. Those domestic receipts dwindled with each installment, but not to great extent. And so, once the first trilogy of films were complete 20th Century Fox seemingly decided to give audiences five years to wipe the slate clean and allow a new crop of young children a chance to discover the Wimpy Kid book series before now re-casting the ensemble and crafting a new feature. Though I was never a huge fan of the series (the second feature, Rodrick Rules, was definitely my favorite) I can certainly see why it is appealing and why there is a desire to produce as much merchandise past the books as possible, including movies. And to be honest, the intended audience for these movies deserve more movies of this ilk as they have been severely deprived of quality live action adventures that feature protagonists just shy of their tween years, when the innocence is still ripe and funny and entertaining. Still, compared to the earlier three films this latest incarnation doesn't look nearly as promising or the cast nearly as appealing-I'm especially sad Fox didn't decide to at least keep Steve Zahn and Rachael Harris on as the mom and dad. Instead, we'll have Alicia Silverstone and Thomas Everett Scott looking to fill their shoes with Jason Drucker taking over the role of Greg, Charlie Wright filling the role of older brother Rodrick, and Owen Asztalos as best friend Rowley. 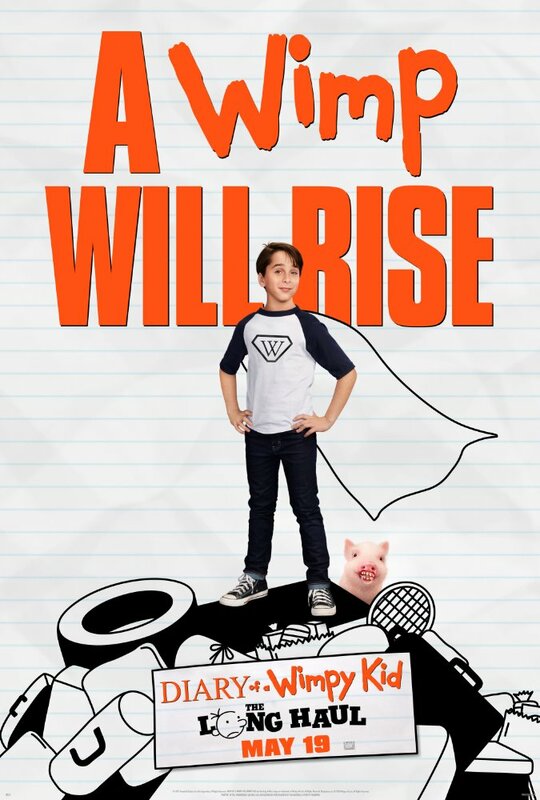 Diary of a Wimpy Kid: The Long Haul opens on May 19, 2017.